From upfront greeting customers, to behind the scenes repairing and working on cars, all employees in an auto body shop should have some form of uniform. It’s not just because of the need for a basic dress code and for employees to have something to wear while they work—automotive uniforms also serve functional purposes that, when used properly, work to the benefit of your business. 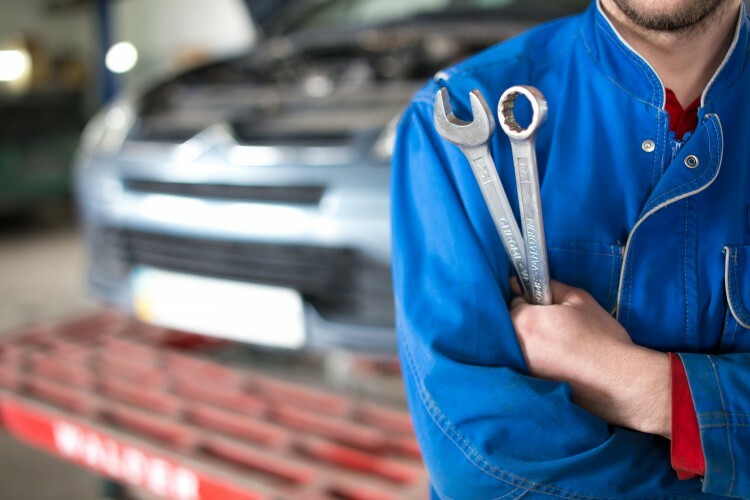 So what types of uniforms are there for auto repair and maintenance businesses, and which should your individual shop be using? Here, we take a look at auto body shop uniforms from front of house to the back to give you a clearer idea of how you can use your employee’s uniforms to your advantage. As with any other industry, auto body shops rely on their customers to sustain their business—meaning that as a business owner, you should be doing everything in your power to attract potential customers. Like a restaurant or hotel giving a classy appearance with uniforms to make an impression on their customers, so too can an auto body shop. At the surface level for instance, having a consistent dress code with uniforms emblazoned with your logo creates a sense of unspoken reassurance for customers. For comparison, imagine yourself as a customer walking into your auto shop only to be greeted by an employee wearing an old baseball cap, a dirtied shirt, or tattered jeans—would you best describe this as a professional appearance? Instead, use all the uniforms tools at your disposal. As you consider your front of house automotive uniforms, there are also subtle opportunities to capitalize on such as the subconscious impact of uniform color psychology. Among other uses, colors can be applied as a marketing tool to reinforce your brand image or logo and even trigger emotional responses. 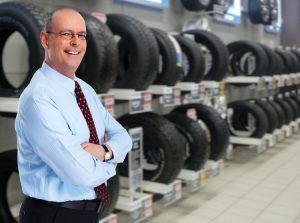 While there’s no disputing the fact that working on cars means getting your hands dirty, the person working behind your front desk and greeting customers serves as the essential face for your business, so if you plan on customers “judging a book by its cover” to work to your advantage, the image your uniforms create for your business is a critical factor to keep in mind. 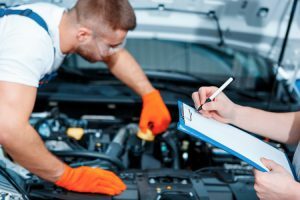 The majority of the work your auto body shop does is behind the scenes, meaning when it comes to uniforms for auto mechanics and technicians working on cars, less emphasis is needed on their appearance, and should instead be directed toward safety. There is a range of uniforms and personal protective equipment (PPE) designed to individually address each hazard your body shop presents. Stretching from protection for risks like light radiation and flying sparks, to hazards like dust from lead-based paints, each piece of the automotive uniforms we help to provide serves a specialized purpose. Heavy-duty, puncture-resistant shoes to prevent foot injury from heavy or protruding sharp objects. Protective gloves to avoid cuts, burns, or static-discharge from the use of machinery. Protective face and eyewear to protect from flying particles or sparks and to filter out harmful UV and IR radiation. Work shirts, pants, gloves, and any other equipment needed for protection. Many are made to be rubber-lined for electric shock and can be made without zippers and buttons to protect vehicles from scratches during work. While above is a comprehensive list of the primary types of automotive uniforms mechanics and technicians may need, the best strategy for selecting the uniforms your specific shop needs should depend on the type of work you specialize in. For shops working in auto paint services, it’s fairly unlikely your employees will need to worry about hazards like molten metal, but when it comes to sanding and finishing cars, renting or buying respirators for your employees is a must—that is, unless you prefer taking your chances for workers to develop lung cancer from exposure to silica. Similarly, while welding and working on car exhaust pipes may not come with respiratory hazards, these employees still need protection from burn risks, in which case you’ll want to be sure you get proper gloves and face protection from your automotive uniforms services. Uniforms in auto body shops provide employers great opportunities stretching from the ability to up your safety standards while working on cars, to the potential to accelerate the number of customers your shop receives each day. At Uniform Nations, we specialize in helping to connect auto body shops in need of durable and high-quality automotive uniforms with the nearby providers. Partnering with a nationwide network of contractors, we strive to deliver these much-needed services—helping to ensure you have the proper uniforms and equipment to keep your business running smoothly. To get started with either renting or purchasing automotive uniforms through one of our providers or to learn more about any of our available services, simply fill out the form to your right, or just give us a call at (866) 467-4178 for free quotes from providers near you.